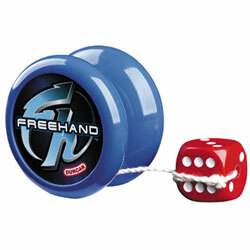 Founded by Donald F. Duncan, Duncan Toys has sold billions of yo-yos worldwide since its inception. 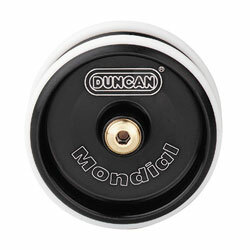 With the addition of new performance lines of yo-yos and spin tops, Duncan is the #1 choice of beginners and pros alike. Duncan Toys has been a division of Flambeau since 1967. Duncan is the largest and oldest manufacturer of yo-yos in the world. Since 1929, Duncan Toys Co. has been the king of the yo-yo market. We offer our "Build-A-Skill" Program all across the United States and Canada. Our team of demonstrators and instructors promote the sport of yo-yo at numerous contests, events, and gatherings all across North America. Duncan is also a major supporter of the World Yo-Yo Contest, National Yo-Yo Contest, and numerous local, state, and regional yo-yo events. Duncan Toys sells directly to wholesalers and distributors, as well as to retailers who sell directly to consumers.